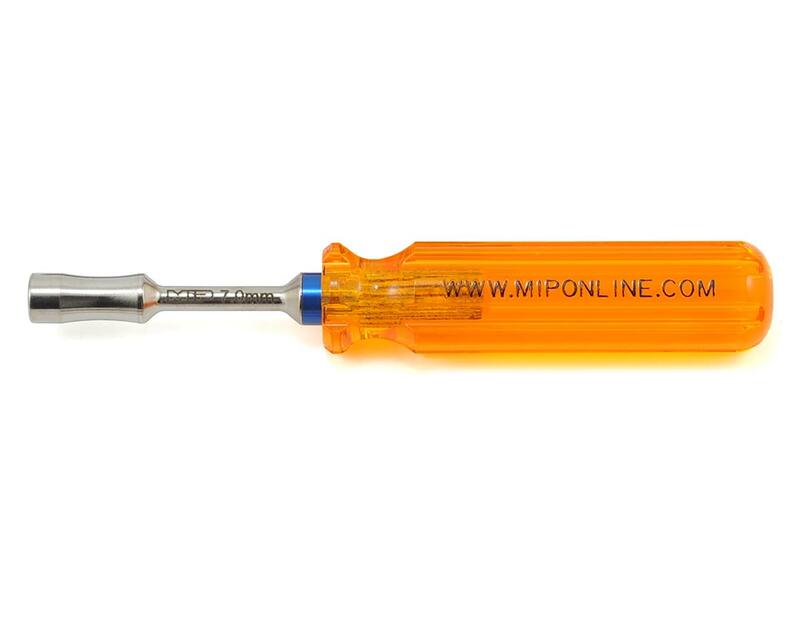 The MIP 7.0mm Metric Nut Driver was built to the same quality standards that have made MIP the go tool for hobbiests for over 30 years. 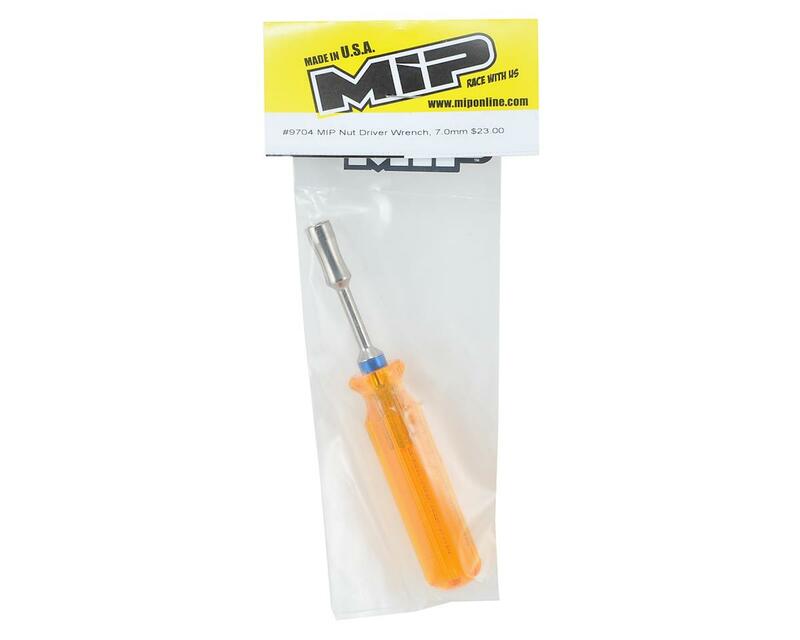 MIP tools are found on pit tables and work benches around the world and are trusted by World Champions and hobbyists alike for their superior quality, longevity, and American construction. MIP nut drivers feature an all steel construct and have been nickel plated to perfection. The nickel plate process boosts the steel hardness level to a whopping 70 plus Rockwell, the same as automotive grade tools! On the surface you will notice these nut drivers are stubbier than traditional drivers, this characteristic allows for a better overall weight balance and reduces tool box space. A special color coded ring and etched sizing on the shank make it easy to know exactly what size nut driver you are grabbing. The drivers also feature a slim hex wall and deep bore to ensure that you are able to get into the tightest of places and not worry about bottoming out on anything in the process! This is a piece of art. It is so nice i hesitate to use it. With that being said it is well constructed and allows for deep or long screws to be turned. I will be ordering the other ones soon.